Buy clothes that fit you perfectly. When shopping for shirts and pants, you have to make sure that they fit you perfectly. Do not be that guy who is too lazy to try clothing on in the fitting room and always just relies on the eye test to decide whether or not a pair of jeans or a polo shirt is just the right size for him. You have to understand that in order to find good-fitting clothes for you, you really have to try them on. Wearing something too tight or too baggy is not what you want to do if you want to impress. 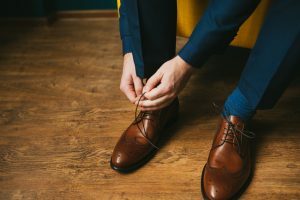 In the case of suits, or some other types of clothing, it is possible to ask the tailor to make adjustments to your wardrobe to fit you much better. If the sleeves are too long, the seat of the pants are too tight or too big, the pant legs are too wide, or the waistline is too tight, do not hesitate to request for alterations. An ill-fitted suit is not flattering at all. Quality is not always about the price. If you think that all expensive things are always much higher in quality, you are wrong. There are many cheaper, more affordable ones that are on par, or sometimes even better, than some luxury brands. 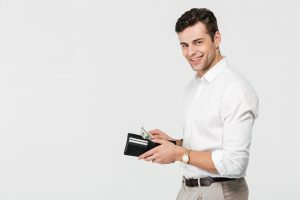 When it comes to clothes, shoes, belts, and others, do not let the price tag be the sole deciding factor of whether or not you should buy a particular item. Do not totally count your local discount department stores or second hand boutiques out of your go-to places for clothes shopping too. Be ready to purge your closet. Not everything that you have in your closet right now is wearable. There should be some that you should have gotten rid of a long time ago. On your free time, you can go through your wardrobe, and pick out stuff that still fit you and are in good condition. The others? Throw them out or donate them. You should free up some space in your drawers and cabinets for new and better clothing for a fashionable you. Stay updated on the latest in fashion. If you want to be at your best, you have to know what the trends are. Make use of the internet to read up on what the fashion experts and trendsetters are saying. There is no shame in reading fashion magazines and watching fashion show videos as a guy. You can actually learn a lot not only about what’s in and out right now, but also pick up valuable advice on a wide variety of things that you might not have heard of or known before. If you only have plain t-shirts in your closet, consider getting one or two printed button-up polos. If you always wear slacks, get yourself a pair of acid wash jeans. If you have never worn a tie, why not wear one the next time you go to a formal event? Do not be afraid. Do not get stuck on old ways. Be open to experimenting to allow your fashion sense and knowledge to grow and improve. Have at least one good quality sports jacket. A sports jacket offers versatility and flexibility. It can be paired with different kinds of colors and styles to improve your look. It can also be worn with a couple of accessories, like a watch or a belt, to add a bit of flavor to your ensemble. It is perfect for various day-to-day stuff, such as when going out with your friends to watch a movie or grab dinner, and for your work’s casual Fridays. Deal with clothing stains right away. If you spilled coffee on your white shirt, or accidentally sat on orange paint wearing your slacks, do not wait too long to get them cleaned up. You can try making some DIY stain removers to treat them at home, or go to a professional if you are not very confident that you can get rid of them on your own. If you do not take care of the problem as soon as possible, the stains may get too difficult to scrub off, or cause damage to the material. Wear leather shoes more often. There is no question that sneakers and running shoes are very comfortable on the feet. However, they should not be the only footwear that you use for every single occasion. They are more appropriate for running, hiking, working out, and other physical or outdoorsy activities. 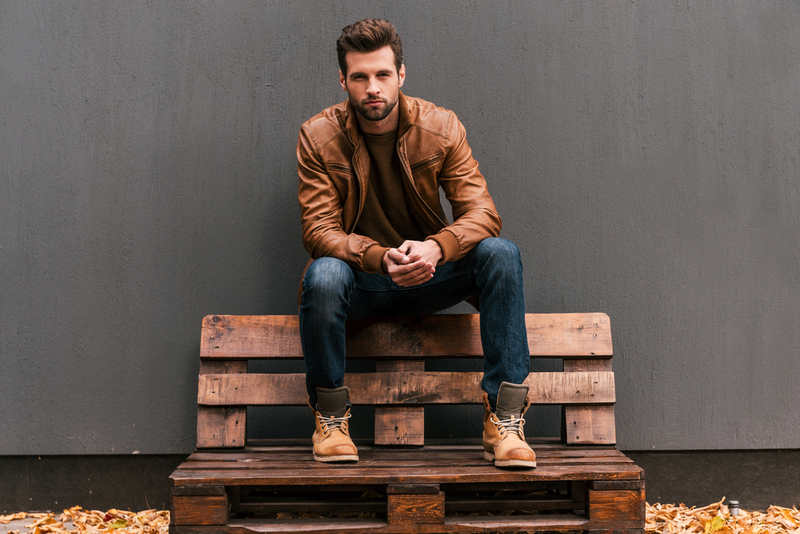 When going to work, grabbing dinner with friends, or catching a movie, it is best to go with leather shoes to take your casual look to the next level. Your face is also an important factor in your personal fashion and style. Depending on the shape of yours, you can choose what type of haircut best emphasizes your finest features, and decide whether or not to grow a beard. You can go to a professional salon to avail of the assistance of hair styling experts, and be the best version of you once you walk out that door. Take a close look at the people you think are fashionable and stylish. Do they exude a different kind of aura? That is called confidence. In order to come across as chic and stylish, you not only have to dress well, but you also have to believe in yourself. Put all the self-doubt away. Do not listen to that voice in your head that keeps telling you that you look ridiculous or you are not good enough. Remember that you are your own person, and that you can be what you want to be.